Friedrich Nietzsche, in The Genealogy of Morals, calls Plato the greatest enemy of art. But he also feels a sardonic respect for Plato, because he believes that Plato had rightly understood the dangerous power of art. 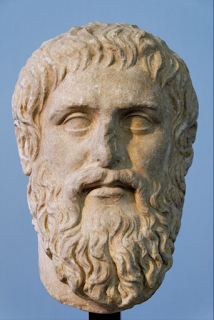 In the Republic, Plato denounces poetry, which he says has the power to enter the mind, take hold of its beliefs and emotions, and mould the personality of all those who are exposed to it. He outlines an authoritarian scheme for censoring Greek poetry. In his essay, “Romantic Puritanism: Plato and the Psychology of Mimesis,” (Chapter 2; The Aesthetics of Mimesis), Stephen Halliwell proposes that Plato’s attitude towards poetry and other mimetic arts show that he was a romantic puritan. This is because the romantic in Plato understood the seductive power of poetry; he himself wrote his philosophy in a literary style. But the puritan in him feared poetry’s corrupting power. The psychological core of Plato’s critique of poetry and drama, with the moral and political authoritarianism it brings with it, is rooted ultimately in a fear of the imagination as such, a fear of what imagination can enact within each of us (“the city in the soul”) as well as, by extension, within whole communities. The many selves into which the soul can be diffracted exist potentially within each person; Plato’s philosophical psychology declares that the possibility of this disordered or constantly changing multiplicity is given by the very nature of the human mind. Plato’s fear is that the imagination, in the peculiarly potent forms activated by compelling fiction, can easily serve to foster these different selves and the desires on which they live. Except under specially limited conditions, he seems to believe, the imagination must be dangerously inimical to reason, precisely because its dynamics are those of self-transformation: for what can transform the self or the soul can subvert and destroy its chances of happiness. Romanticism and Platonism are both devoted, in part, to a quest for the spiritual harmony and integrity of the individual. But for the romantics that integrity requires the imagination as one of its primary agencies, because imagination carries with it a potential for self-creation, self-exploration, and self-renewal, which is taken to be indispensable for spiritual growth and fulfillment. The many selves that Plato sees lurking in every mind, and which he thinks need to be integrated into a single, stable self under the rule of reason, become, for romanticism, nothing less than an essential source of freedom and discovery. According to Halliwell, imagination is potentially subversive of identity for Plato, but for romanticism, it is formative and even partly constitutive of the self.